With the ZAP-X from ZAP SURGICAL SYSTEMS we are introducing a next generation radiosurgery system for neurosurgeons and radio oncologists. The new Coline 6 linac is a new generation radiation therapy system, designed for a versatile and economic treatment approach. With GammaPod, radiation oncologists and breast surgeons will be at the forefront of a new era in cancer care by providing stereotactic radiosurgery for breast cancer. UNGER Medizintechnik is the leading manufacturer for patient positioning systems and devices with the highest quality made in Germany. 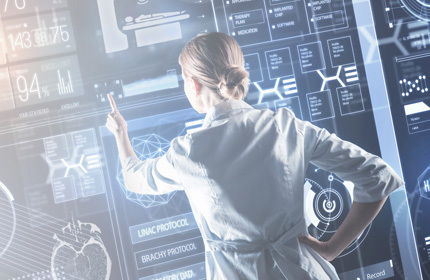 The new OIM is a next generation Oncology Information Management System for best clinical workflow, it’s manufacturer independent and offers seamless integration.